Paper has endless uses. Some clever people have created one that helps bees. It has a special formula embedded into it that provides them with an energy drink. Because it's fully degradable, even if it ends up as waste it won't get wasted. A US company has developed a lightweight paper drone that has no motor and can be used for one-way deliveries. Quickly assembled from a flat pack, the US military is interested because they leave no trace, being fully degradable and soon to include a self-destruct function. To encourage people to pay more attention to their ads, Fruit of the Loom has hidden clues in their advertising to bundles of cash and free underwear. So far, only six people have found a stash. There are plenty more out there, so if you're in New York, pay attention to their ads, you might get lucky. Created by a Japanese company, once the contents are delivered, your recipient can open the envelope and gaze into an accurate image of a starry constellation in the night sky. We could make this for you. It's just one of the many clever ways you can use print. Talk to us about how you can create print products that engage your clients and make your brand memorable. People respond to their name. Getting personal is the number one marketing trend right now. You can boost your response rate with variable data printing (VDP). VDP doesn't stop at creating a piece of marketing with each recipient's name. The advances in digital printing mean you can directly target each of your customers with a personal version of your print products. If you have an online store, check out their Wishlist and send them an offer for the items they want. Add a personalised map to show them how far they are from your business. Send a hip version to your younger database and a retro version to your older customers. Let them know you know them. 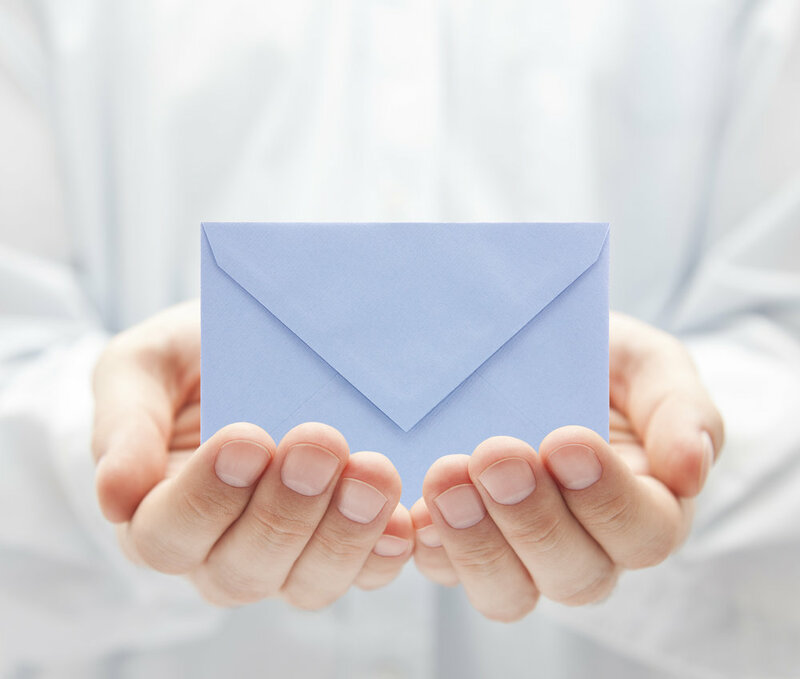 A recent survey by data specialist Wilmington Millennium, revealed that recent improvements to the quality and targeting of direct mail are paying dividends. They discovered that 48% regarded direct mail as a good way for brands to connect with them and ranked direct mail and door drops as the most liked forms. That's a stark contrast to the 2.7% website pop-up ads gained. That 48% is an increase of 7% from a similar survey in 2014 too. Direct mail as a favoured way to advertise is on the ascent. so it’s good to see that effort is now paying off. Call us today for a chat about how we can work with you to create an innovative direct mail product that will have your customers reaching for the phone. Glide Print. Your direct marketing specialist.